It’s a real treat to revisit three whites from Leflaive with a small group of tasters. Even though many of the best Burgundies have now become prohibitively expensive, at their purest essence these wines still represent the toil of farmers working on an artisan scale with tiny plots of land, each with their own unique attributes. The three whites in this tasting open a small window into the career of one of Burgundy’s most brilliant vignerons. Sadly, Leflaive passed away earlier this year, but these wines are a poignant reminder of the rich legacy she leaves behind. The 1996 Chevalier-Montrachet opens with the classic reductive Leflaive bouquet. Slate, smoke, almonds and white stone fruits abound. Still tense, vibrant and pulsating with energy, the 1996 will continue to drink beautifully for a number of years. If opened today, the 1996 needs a good bit of air, though, so readers need to be patient. Personally, I would prefer to see a little less reduction in a twenty year-old white. 94/Drinking window: 2015-2025. 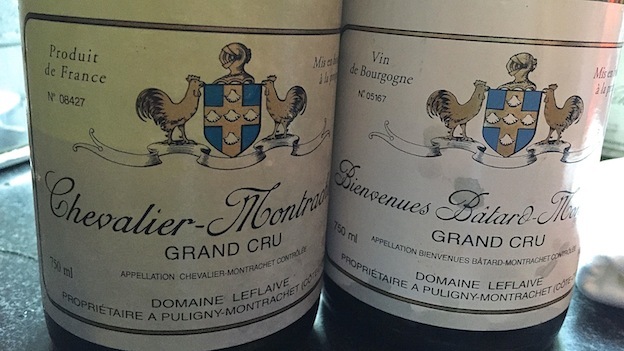 Even though the 2001 Chevalier-Montrachet is five years younger than the 1996, it comes across as a bit more forward, evolved and open-knit, but that is not at all a bad thing, as the 2001 is more enjoyable to drink now. Layers of creamy, tropical-inflected fruit flesh out effortlessly in the glass. Scents of marzipan, chamomile, apricot, lemon oil and light, floral-infused honey all add further shades of nuance. Wonderfully complete and seductive, the 2001 Chevalier is a great choice for drinking today, although I would not push my luck too far beyond another handful of years at most. 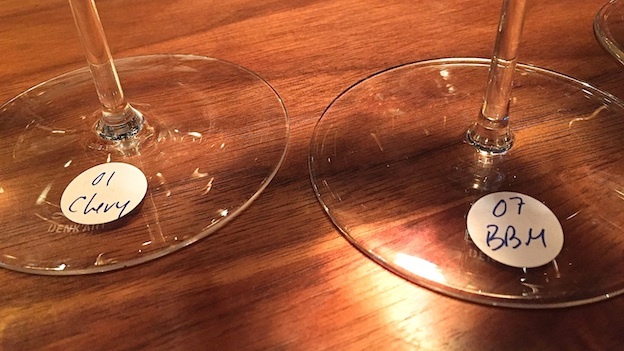 95/Drinking window: 2015-2020. A huge, almost overpowering Burgundy, the 2007 Bienvenues Bâtard-Montrachet possesses towering structure and imposing depth, with seemingly endless layers of texture that fill out its broad, ample frame. The flavors are naturally unevolved at this stage; instead what stands out is the wine’s explosive personality and overall intensity. This is a very strong showing from a wine that sometimes gets lost in the Leflaive range. 95/Drinking window: 2015-2025.